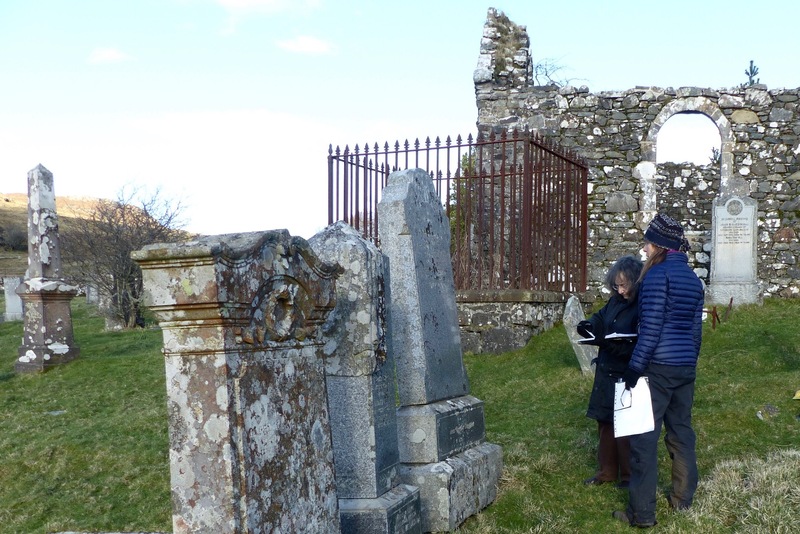 Members of Ardnamurchan History & Heritage Association spent some time in beautiful weather this morning at St Comghan’s church completing our survey of the gravestones. The basic details of each gravestone will in due course be printed as part of a booklet describing the history of St Comghan’s church, which will be published shortly. The church was founded by St Comghan in the 8th century – see details here – but the stone church dates to the 12th century, though it was extensively rebuilt in the 18th. 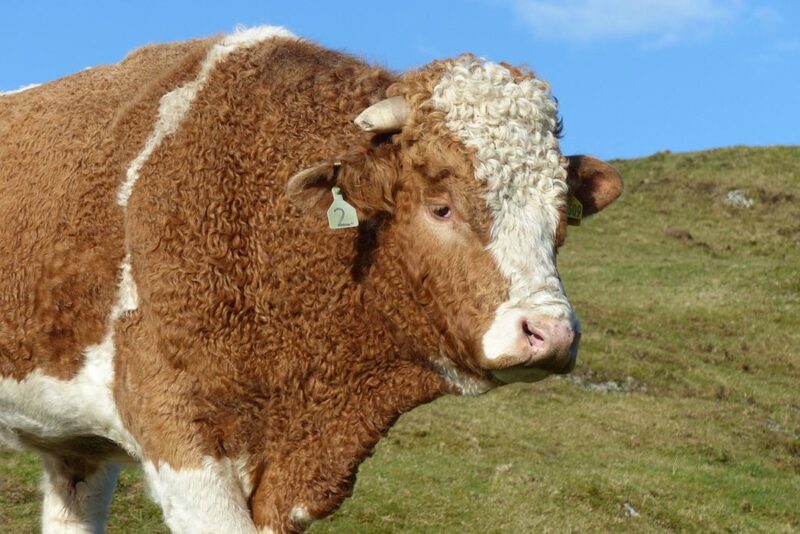 To reach the church gate, the path passes through a field belonging to Meall mo Chridhe, the old manse, whose owner, as well as keeping a herd of very fine highland cattle, also has a large bull. Fortunately, our experience of him this morning is that one could hardly ask for a more amiable creature.